Beach and ocean pollution is a major issue, with plastic bags and polystyrene cited as two of the biggest culprits. Now though, cities and residents are finding ways to fight back. It was mid-March when Lisa Miceli and her husband walked onto the beach to take sunrise photos. As they strolled behind the Ocean Sky Resort on Fort Lauderdale Beach and set up the tripod, Miceli noticed a big pile. “Look what the Spring Breakers did!” she cried, pointing at tarps, beer cans, food containers, broken glass and plastic bags. The owner of dive gear line Stoked on Salt and founder of SOS Ocean Clean Up spent the next six hours with three volunteers and collected almost 900 pounds of trash. The diver and ocean activist is not alone in her frustration. With more than 1,000 miles of shoreline, Florida ranks near the top of coastal states struggling to protect their shorelines from trash. In the Sunshine State, turtles, manatees, dolphins and reefs are choking on debris; many marine animals often mistake plastic bags for jellyfish. As the bags break down, smaller wildlife ingest them and chemicals make their way into our own food. Some lawmakers are listening. In May, Coral Gables became the first Florida city to pass a ban on plastic bags and Styrofoam, or polystyrene. In Tallahassee, a Miami Beach-area state representative has tried and failed several times to pass legislation, and plans to try again in 2018. 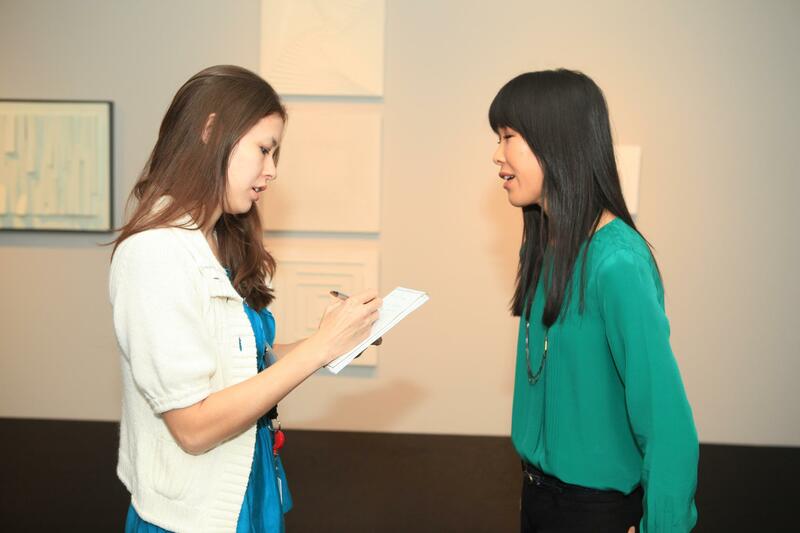 The Floridians are part of a movement that’s growing around the country and the world. California was the first state to pass a statewide ban on plastic bags, and Hawaii has a de facto ban as every municipality has individually set a ban. A number of cities and municipalities including Aspen, Colorado; Austin, Texas; Portland, Oregon and Seattle have instituted bans. Internationally, countries such as Kenya and Rwanda have banned plastic bags while other countries, including most of Europe, have partial bans or charge taxes or fees on plastic bags. Also, many companies currently do not use plastic bags, including Whole Foods, Trader Joe’s, BJ’s and Costco. Trash bags, dog waste bags, and other unavoidable plastics do not fall under Coral Gables’ ban, and for the first year, retailers will not be fined for violations. He described the process as “difficult” — the city was sued last year by the Florida Retail Federation, a powerful trade organization whose members include the Walt Disney Company, Publix and the parent company of 7-11. Also, Florida has preemptions halting municipalities from banning plastic bags and polystyrene. A judge upheld Coral Gables’ polystyrene ban, deciding that the preemption is unconstitutional. However the decision was narrowly tailored, and the issue is expected to come up again as bans are attempted elsewhere in the state. According to a retail bag report conducted by the Florida Department of Environmental Protection and published in 2010, only 12 percent of plastic bags in Florida are recycled or reused, whereas 36.8 percent of paper bags are. In 2003, the latest figures at the time, Americans used 90 billion retail plastic bags. A single reusable bag, the study found, would replace as many as 315 plastic bags. Rep. David Richardson helps collect trash. At the state level, Florida Rep. David Richardson has proposed a plastic bag bill three times and is gearing up for a fourth attempt in 2018. His bill offers coastal cities with fewer than 100,000 residents the opportunity to take part in a pilot program to go without plastic bags or polystyrene. “We passed it unanimously three years ago in that first committee in the Senate, but I have not been successful in getting it heard in the House, because the Florida Retail Federation is just killing me,” says the Democrat from Florida District 113, which includes much of Miami Beach, Fisher Island and a small portion of the mainland. The federation argues that beyond the legalities of the bans, it’s inconvenient for customers, as well as businesses who have to stock plastic bags in some stores and not others. 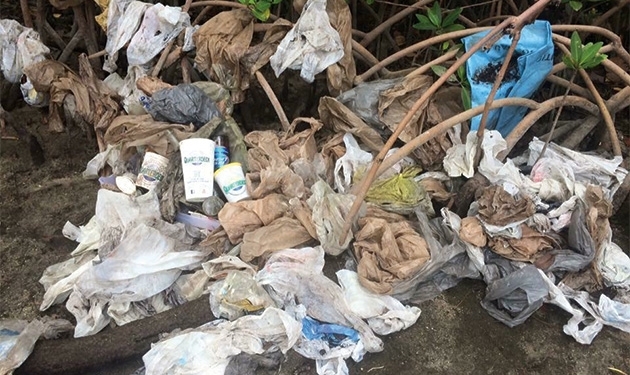 In a statement, federation communications director James Miller said it is against “any local regulation of plastic bags and polystyrene packaging. On the contrary, polystyrene “is a safe and economical solution for most businesses,” and forcing them to switch to another material will be costly to businesses and negatively impact their profits. As for plastic bags, they’re recyclable and many businesses offer receptacles where customers can bring back their bags to be recycled. Miller added that ABagsLife.com has a list of locations where bags can be recycled. Richardson’s reply to the idea that this creates inconvenience and expense? “Poppycock,” he says. “That’s my reply, poppycock. The issue was brought to Richardson’s attention when he joined a cleanup crew and was educated on the dangers of plastics by the leader of the group. He still helps — in a recent clean up on Biscayne Bay, a dozen volunteers picked up 2,000 bags in two hours. “We all lived just fine before we had plastic bags, but I understand they’ve become a convenience and some people reuse the single- use disposable waste to either pick up pet waste or other things,” he says. Next year, Richardson is optimistic that with Coral Gables as an example, he will get further than ever before. Meanwhile, other cities and counties have been showing solidarity for the end of the state preemption by passing resolutions of support. More than 40 municipalities have put forth a resolution, including, most recently, the City of Fort Lauderdale. Catherine Uden, the Broward County chapter chair of ocean advocacy group the Surfrider Foundation, has been busy raising those numbers. During a cleanup along Whiskey Creek, the mangroves were covered in plastic bags and restaurant debris. One of the helpers that day was Dania Beach mayor Tamara James — that city passed a resolution shortly after. “What we’ve been doing is just trying to show Tallahassee that there are cities that are interested in it or at least supporting each other’s interest in it, and the only thing that’s holding them back is Tallahassee,” Uden says. Meanwhile, the trash just keeps coming. Since 2014, when Miceli started the SOS Ocean Clean Up, she has planned half a dozen beach cleanups every year with hundreds of volunteers. In the latest Earth Day cleanup, 2,000 people came out. Each time she walks the beach, it’s always the same culprits: cigarette butts, plastic bags, plastic straws, cans, clothing, and to-go containers. In the mornings, a beach sweeper goes through the sand, but it can only pick up so much. Originally published in Fort Lauderdale magazine. 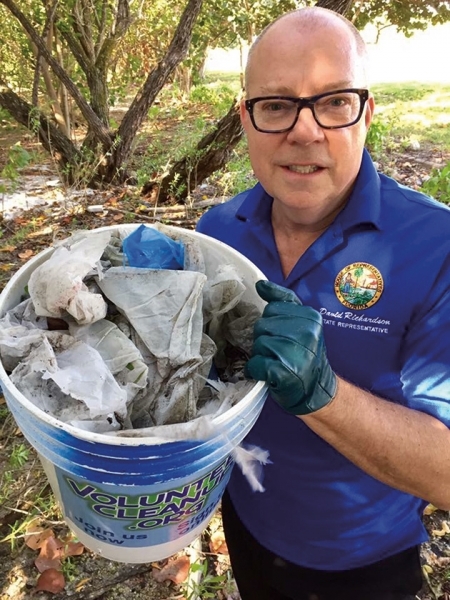 This entry was posted in Fort Lauderdale Magazine and tagged coral gables plastic bag ban, florida beaches, florida pollution, plastic bag ban, polysytrene ban, rep. david richardson. Bookmark the permalink.